even though we're a week into it! The first project I had to get under my belt was something that I've been wanting to make for a couple of seasons now -- a faux fur leopard coat. I've been seeing leopard (and the others) everywhere. I devoted a Pin board to my obsession. And I've been dying for a coat. So I finally got around to making one. I used Vogue 1128, a coat from Anne Klein. Here is the description of the pattern: loose-fitting, lined coat A with collar, dropped shoulders, welt pockets, back has yoke, pleats and tucks, below elbow length sleeves and button closing. The pattern had very simple lines -- what one would look for when using faux fur. I found the fabric at Jo-Anns. It's listed as "cheetah" when it's in fact a leopard print. I used a bright pink lining and I didn't have to make any alterations to the pattern. It sewed perfectly right out of the envelope. I softly tailored this project by block fusing the fabric. I used a size 14 needle and had absolutely no trouble sewing or cutting the fabric. You can't tell from the printed fabric, but the coat has pleats on each side of the back. I thought that was a cute design detail. And it would really show on a solid color. I never thought I would like a drop shoulder style, but I really like this coat. It has a very retro-vibe going on! I'm wearing a black cashmere turtleneck, McCall's 6404 black skinny pants, assorted jewelry (Marc by Marc Jacobs earrings, bracelets from Forever 21, Target, ASOS). And black suede Steve Madden Lennaa pumps. I'd like to introduce you to my beautiful new 2 week old granddaughter Isabella. She's the brand new light of my life! I love the hair color! The coat is super cute! The baby, absolutely adorable! Congratulations to your family on your new addition! Love the coat especially the surprise pink lining. It is hard to believe you are a grandmother! Congratulations, Isabella looks beautiful, she must have the family genes! Oh,yes, I like your look. I repinned one of your furs - love the look. You knocked it out of the park with the pink lining. A beautiful coat and grand-daughter. They have a way of messing you up. OK, the world is in fact a pretend place. There is no way that you are a grandmother (I also say the same thing about my best friend even though I know her five year old grand-daughter). I wonder if you are now going to sew cute baby things. The only thing I regret about being childfree by choice is that I never got to sew cute baby/child things. Congratulations on becoming a grandma! You are going to love it! And Isabella is just beautiful...and the coat is pretty kewl too! Congratulations!! You'll be the chic-est grandma around. Thanks! We're enjoying her greatly! Happy New Year that coat is hot! I love animal prints. Congratulations to your family. Isabella is beautiful!!! I know everyone is in love with her. Great job on the coat! Love the pink lining! What a beautiful new baby! Lovely coat and loving the hair color. I love me some babies...FIESTA!!! Wow! That coat is beyond gorgeous .. you're a knockout! I love the fabric .. it looks like a good quality. Do you mind saying where you found it? Thanks, and enjoy your new granddaughter .. fun ahead! Thanks Joy. Sorry, I thought I'd included that in the post. I found the faux fur at Jo-Anns. JoAnn? Thanks. Color .. me .. impressed. Is it on the thickish side with some warmth? I'm tellin' ya .. you could walk an NYC fashion runway with that, your head held high .. super great job! Joy, it has a decent hand. And it even drapes nicely. It's pretty warm too. Thanks! I'm loving it! Oh dang! I'm so sorry .. I was so focused and entranced with the pics, I glossed right over the Jo Ann info. Gulp ... forgive me ;). Happy New Year Erica!!! Gorgeous coat--ultra fab! And congrats on the beautiful little Grandbaby. I know you're gong to keep her super stylish. That coat is da bomb! Isabella is a cutie, congratulations! I like the coat and the color e d bun too. And you certainly don't look old enough to be a Grandmother!! Congratulations. Congratulations on your beautiful granddaughter! The coat looks great on you and great lining color. Beautiful grand baby, fun coat! Wishing you all the best for 2012. Beautiful baby, beatiful coat! I love the lining colour too. Fab! Isabella is beautiful! Congratulations! You are definitely the most glamorous grandma I know. Oh yes, the coat is fab! Erica your coat is beautiful and your granddaughter is even the more so! Congrats on becoming a grandmother! Now, you must be the hottest grandmother going. Congratulations! Love the coat. What a beautiful baby. No wonder you have been busy! Fabulousness all around, the coat, you, your granddaughter. Congratulations to you all! Congratulaions, Erica, on your beautiful new granddaughter. Enjoy your new role! Congratulations on the new baby. She is so sweet. Your coat is so fabulous and I love the sassy lining too. Great job! Erica...best wishes for the new year and.....congratulations! She is beautiful ! Congratulations on being a new Grandma, Isabella is just lovely and already has her grandmas perfect skin! The coat is fabulous and such fun lining but the new granddaughter steals this blogpost. Isabella is gorgeous, enjoy! What a beautiful coat~ I love animal print! And, your grand daughter is so adorable! HaHa, Looky what I found! I didn't even remember this, lol! Even, replied, lol! However, I remember when you introduced us to that cute little grandbaby! I've been hoarding a piece of the Ralph Lauren leopard that Fabric.com had (jeeze how many years ago was that deal?) and now that I've seen your coat, I'm getting brave. Maybe not a pink lining, though... On the other side of things, however, Isabella is perfection. Enjoy her! Congratulations! We just had our 5th grandbaby 3 weeks ago! okay, the coat is fabulous. 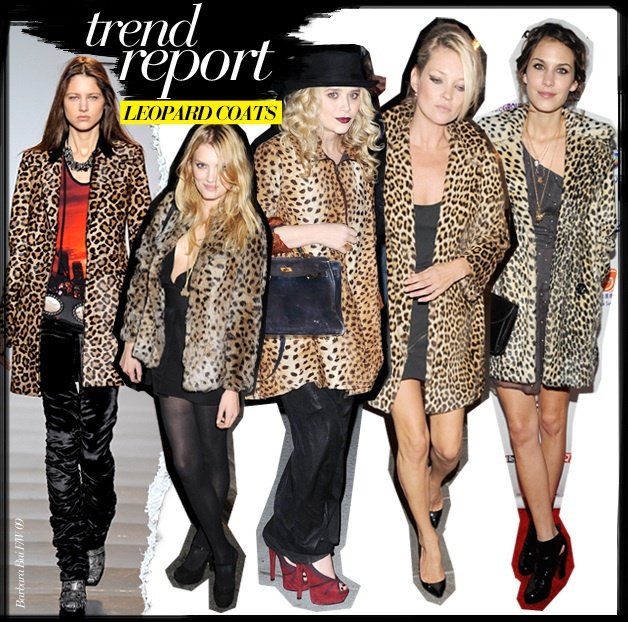 I' ve had that pattern for awhile and you have certainly convinced me I must make it....love the "cheetard" fur! Oh, my, she is prescious! Is she your first grandchild? Aren't they just the best thing ever? Any sewing for this little princess? 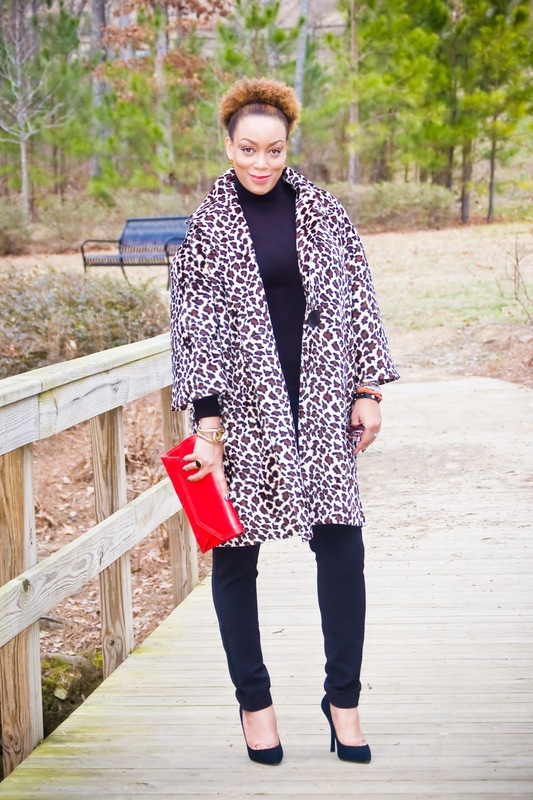 Love your coat, very sassy and perfect with the pants and heels. Congratulations! Isabella is precious and you are the most stylish grandma I know in your leopard coat! I know that there is a coat featured somewhere in this post, but it is overshadowed by your beautiful new granddaughter! Erica and family, God bless and enjoy your little miracle. 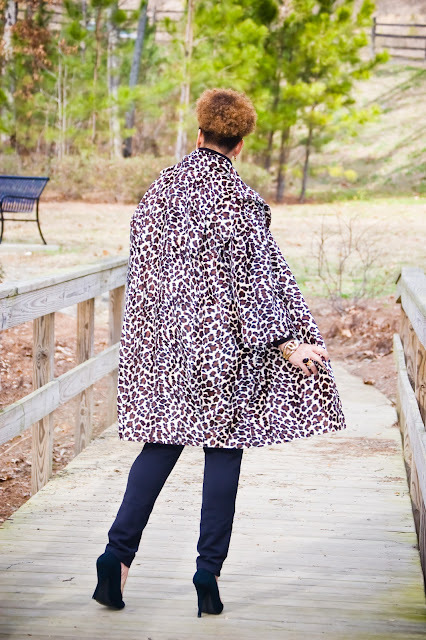 The leopard jacket is gorgeous and fun, but oh your new little granddaughter steals the show in this post. Congratulations! What a cutie! Congratulations! Such a beautiful baby to love. And your coat is way cool. That coat looks fabulous on you and congratulations on the new addition to your family. She is beautiful!!!! Congratulations on a beautiful granddaughter, they do good things for your heart. Also thank you for making this pattern and doing a spectacular job with it. I have had this pattern a while now and wondered how it would look - now I know I will make it. As usual your blog is a delight. Thank you. Isabella is beautiful. God bless you all. Congrats on the granddaughter. She is adorable! 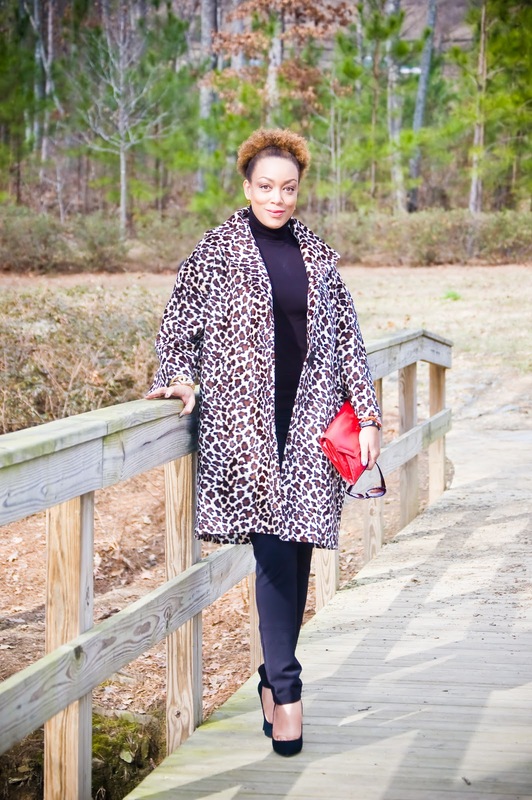 Love the coat and your previous post about the difference between leopard print and cheetah print. Your granddaughter is just lovely. I'm sure she'll be the chic-est baby in town. Love, love, love the coat and the hot pink lining. FABULOUS! I read your blog all the time but rarely comment. I just wanted to say that your coat is fabulous but your granddaughter stole the show. She is simply perfect and is blessed to become a part of your family. What a wonderful blessing to bring into 2012. God bless! 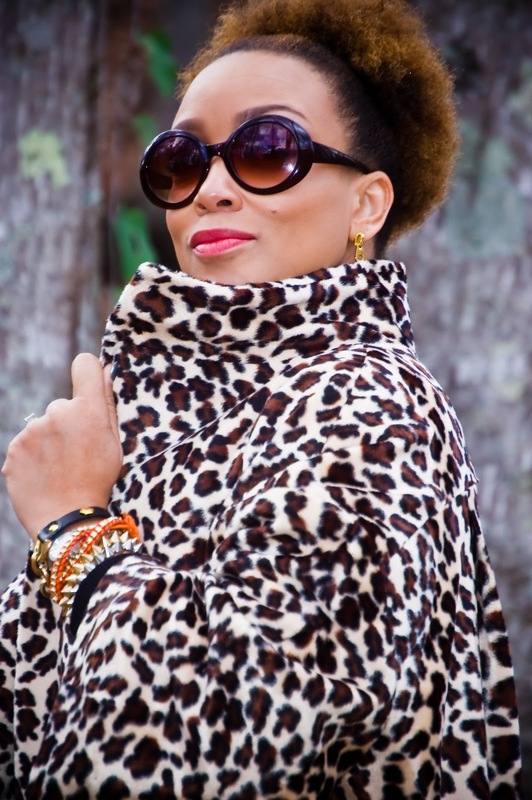 Ericka, love the coat, it is gorgeous. I do have a question, when you said you block fused the fabric, could you explain what that means. Also, I saw your clip in Vogue Patterns magazine. Congratulations on that! !And the baby is adorable!!! Grandchildren are a joy, what a christmas gift.Many blessings to you and your family. Leslie, you fuse the entire yardage of fabric before you cut. Hi Ericka, I love the coat, it is beautiful . I do have a question, could you explain how to block fuse fabric. 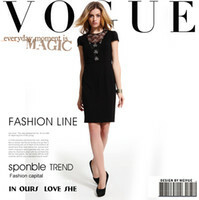 Also, I saw your article in VoguePatterns magazine, Congrats!!! And finally, the baby is adorable, many blessings to you and your family on your new addition!! Ohh, this is such a fabulous coat! 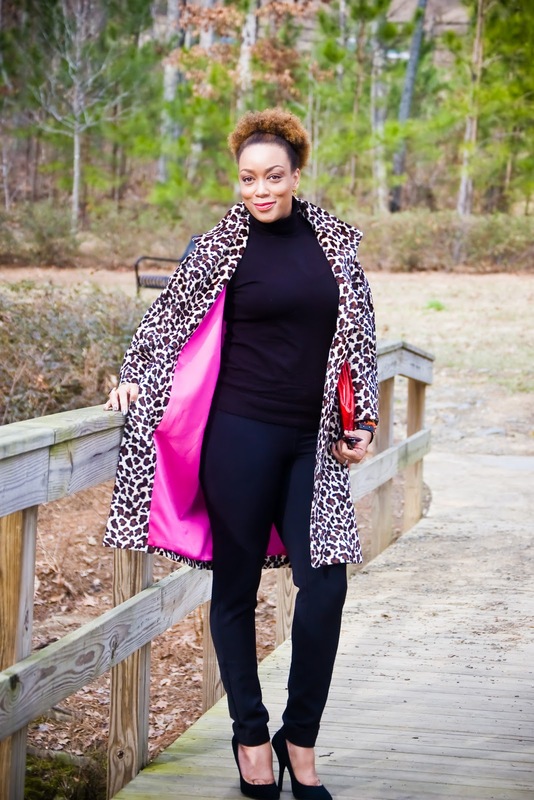 I love the hot pink lining with the leopard print! I know what you mean on obsessing for leopard print - I recently made myself a little leopard peplum jacket (with teal lining, though!) because I was dying for a little piece of animal in my wardrobe :) It's such a classic print! Congratulations on the granddaughter! She is beautiful! The coat is lovely. And your style, as always, impeccable. Congratulations on the adorable granddaughter. She's lucky to have the most stylish grandmother around! I just love your coat. It looks so cute on you. Your grandaughter is adorable. Congrats. I've got 9 grandkids and number 10 is due in May. They are the joy of my life. This will be our 7th granddaughter in a row. So excited to see your first post for 2012. Your absence is forgiven b/c of that beautiful grandaughter! That's a great excuse. Congratulations! Will I see 'baby fashion' soon?! Happy New Year! Oh, love the hair color on you! Happy New Year! Your new baby is beautiful. Congratulations and God bless. Wonderful coat and beautiful baby!You must be very proud. Now you have a whole new range of sewing open to you! She is precious! Can't wait to see the cute girl clothes you make. I think a matching leopard coat would be fab for Isabella. Congratulations, Erica! What a beautiful little baby! Happy new year. 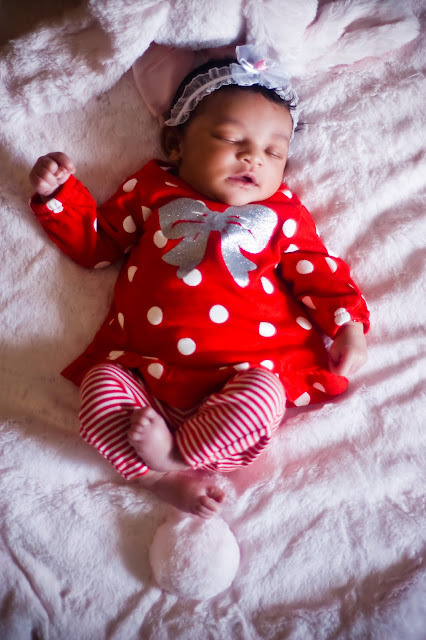 Congratulations - your granddaughter is so precious! She's lucky to have such an adoring and super chic grandmother. She is beautiful just like her grandmother!!! I was googling images of vintage Chanel jackets and guess who's picture popped up?!! Yours! 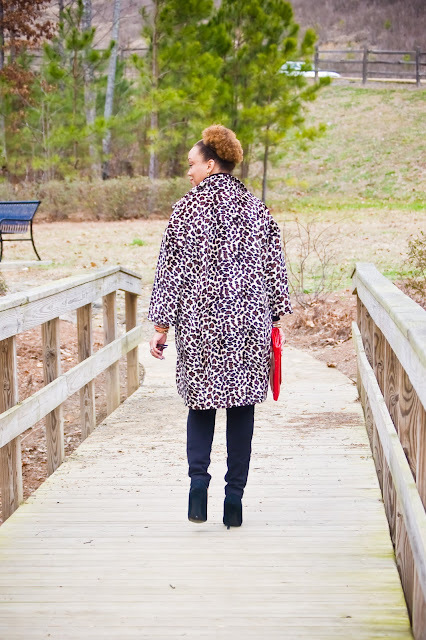 Love your leopard coat and the little miss is adorable. As always, thanks for sharing. Congratulation for your adorable grand daughter. You are certainly one of the most fashion forward grand mother I've ever seen. I mean this as a compliment. She is so cute!!! Love the coat! Thanks Jada! She's my sweet girl! 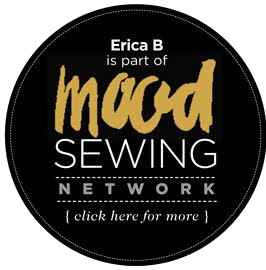 I'm sitting in my sewing room now trying to coax my mojo! I have read your articals in sew stylish and finally i had to make my move. I just love your style. You must be sewing night and day. Question: what are your thoughts on those duck tape body doubles? my body is changing so buying a dressform might not be the right idea now. any thoughts?? I'm not a fan of the homemade forms. I have a PGM Pro 601 and thinking of upgrading that one to a Wolf. But you have to do whatever meets YOUR requirements. Your granddaughter is beautiful. You are the flyest grandmother I know. Thanks Ms. Hair Apparent! She's my sunshine! What I'm Wearing: Yellow + Turquoise! 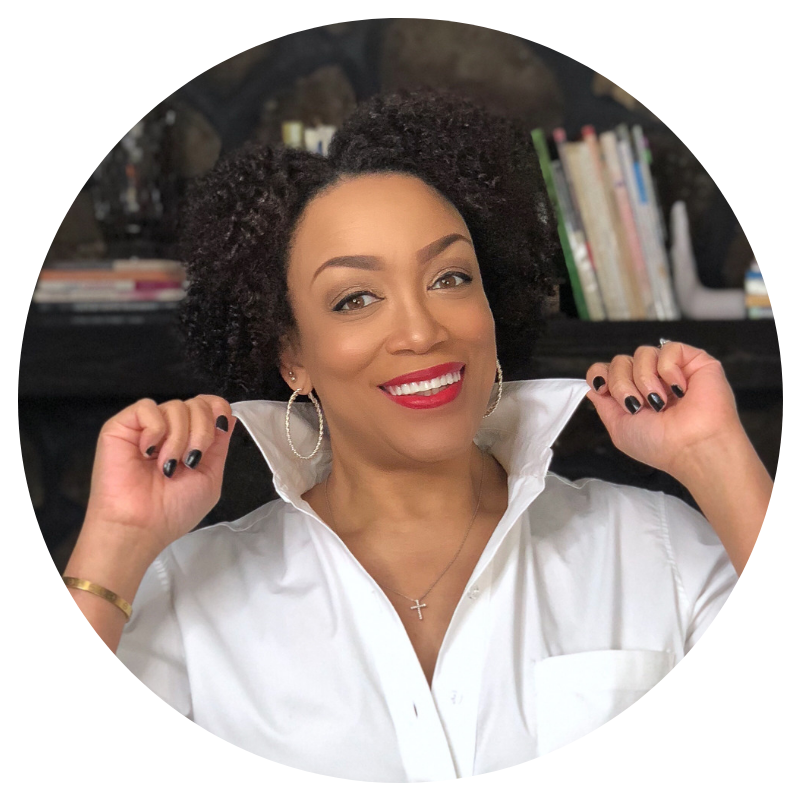 What I'm Wearing | White after Labor Day! Inspired by Pinterest: Primary colors! Spring 2012 Beauty Products | Gorgeous!